Bishop John Wilson recounts the events of Day 2 of the pilgrimage, when undaunted by the rain the pilgrims visited the Mount of Transfiguration, Cana and arrived in Nazareth. 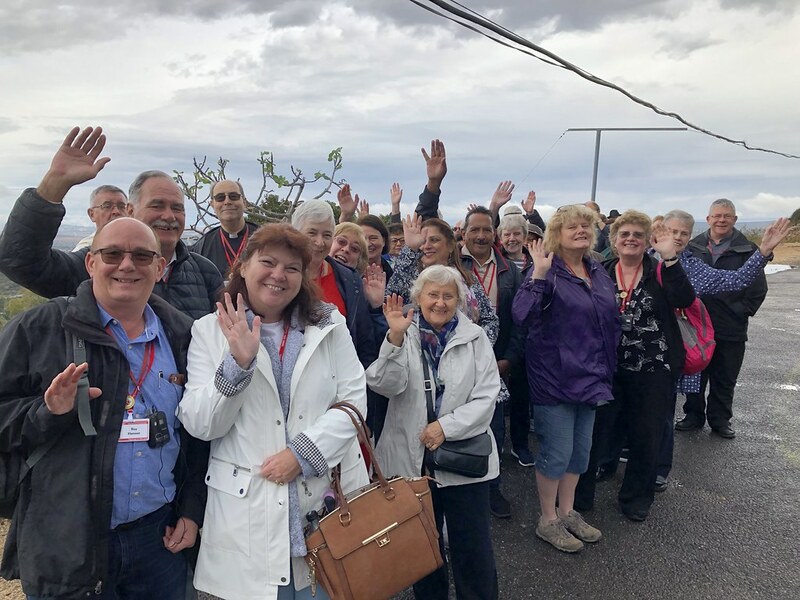 We began the second day of our Holy Land pilgrimage after a tremendous thunder and lightening storm during the night on the Sea of Galilee. Our first visit today was to the Mount of the Transfiguration, the site which commemorates Jesus taking Peter, James and John up the mountain with him. There, in their presence, he was transfigured. His whole being shone with brilliant light and a voice spoke from heaven, ‘This is my Son, the Beloved. Listen to him.’ As the clouds descended upon us, this beautiful Gospel account reminded us of who Jesus is, and who we are as his modern day disciples. 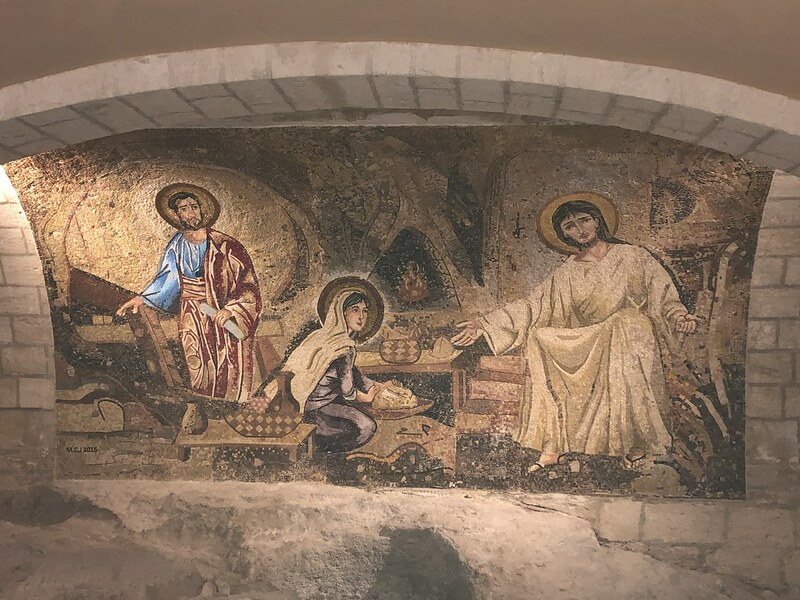 We then travelled to Cana, to the church marking the site of the wedding where Jesus, at Mary’s intervention, changed water into wine, working his first miracle. In a simple and poignant liturgy the married couples among us renewed their wedding promises. It was a moving affirmation of the Sacrament of Marriage. We walked to the bus in the rain and journeyed two hours to Bethlehem. With thanks to God for another blessed day, we look forward tomorrow to visiting the Church of the Nativity in Manger Square. In all our Masses and prayers we are remembering everyone at home. Your intentions are in our hearts as we walk in the footsteps of our Saviour. More photos from Day 2 are available here.